Could You Be a Green Hidden Hero? WWF is looking for this year’s Hidden Heroes and one category you could be up for is Workplace Wonder and Pearl Scan can help claim this title. If you’re looking to improve the green credentials of your office or the company as a whole, now is the perfect time to do it. By becoming an active environmentally friendly worker, you could get nominated for the WWF’s Workplace Wonder award. There are many things you can do to be nominated for the award from creating initiatives for the office to save energy to making your office paperless as long as you can show that you are trying to make a positive difference to our planet. So here are a few suggestions we have thought up. You could organise a company-wide challenge to find the most energy saving office in the building. This could boost office morale and would work as an excellent team-building exercise. If your car park is overflowing on most days, challenge employees to cycle to work. This will keep them fit and also cut down on harmful chemicals released from all of those cars on the road each morning. If your office is too far for most to cycle then encourage car sharing. If some employees live near each other then car sharing provides a great alternative to taking seperate cars. It will also cut down on their costs of running the car on the commute if all those sharing the car contribute to the costs. Simply, the more reusable items you can use in the office, the less waste is produced. When your office is producing less waste, it will be more environmentally sustainable. The first steps to creating a paperless office is to get rid of all of the hard copy documents that already exist. Now, we know that most documents that are filed like this tend to be too important to throw away, so you need a solution that means you can dispose of the documents without losing the information contained in them. Document scanning does just that. You can have your documents scanned to a digitised format and they will also be protected from loss, theft and damage unlike their hard copy counterparts. Once you have had your documents scanned to a digital format, you can put them, indexed and fully searchable, into a digital document management system. This will make your documents accessible and easy to share at the click of a button. Once all of your documents have been placed in this system, almost all of your business and document sharing can be conducted digitally to save on printing costs. By implementing one, or all, of the above suggestions, you could be crowned Workplace Wonder. I’m sure you can come up with lots of your own too. 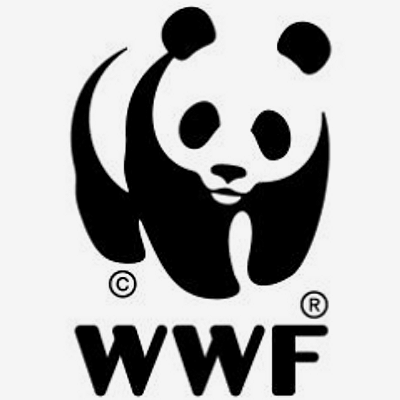 Once you (or someone you know) have taken steps to make your office sustainable and environmentally friendly, fill out the nomination form on WWF’s website before the 1st of December. To learn more about our scanning process, please visit our page on scanning documents. If you would like to know how Pearl Scan solutions can help you and your company, get in touch today to speak to one of our friendly and experienced team.